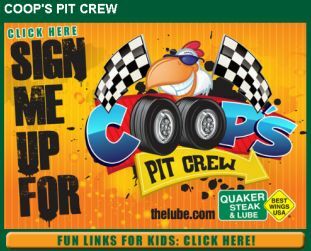 Sign up for free Coop's Pit Crew. Fun links for the kids. There are many games such as Math games, Coloring etc. Click the link below to sign up. Very cute site!